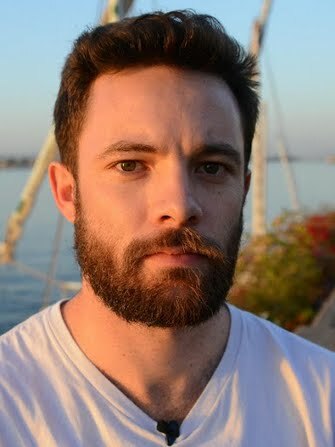 Freelance journalist interested in conflict and international law; the Middle East and Africa. Currently based in Iraqi Kurdistan covering ISIS conflict, IDP and refugee crisis, energy news. Bylines in Daily Telegraph, Foreign Policy, Al Jazeera, Maclean's magazine, National Post, The Daily Beast, Sydney Morning Herald, Dallas Morning News, New Zealand Herald, International Business Times, Middle East Eye, IRIN, TRUST.org and others. 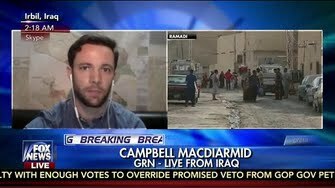 Interview on Fox News on 27 May 2015 giving an update on the situation in Ramadi. Screengrab from appearance on Fox News 21 May discussing situation in Iraq as Ramadi falls to ISIS. Interview for France24 on 23 May 2015 on counterattack to retake Ramadi from ISIS and the ensuing humanitarian situation. Interview on 25 May 2015 for France24 on reactions to the ISIS takeover of Ramadi.